Ozzy Osbourne spoke about to SiriusXM host Jose Mangin about the possibility of a new solo album from the BLACK SABBATH singer once the legendary heavy metal band has completed its "The End" tour in early 2017. Ozzy said: "I'm not retiring, I'm gonna carry on. I've been writing with Billy Morrison [who currently plays guitar in Billy Idol's band and co-wrote songs on Idol's latest album] and [Idol] guitarist] Steve Stevens. [Steve is] not gonna be in my band, he's with Billy Idol. But he's a friend of [Morrison's] and [Morrison] plays with Billy Idol. I said, 'I've got some ideas,' and we worked it out. There's one song that right now is called 'Crack Cocaine'. It's like a bluesy thing." Asked when fans can expect to see his next solo album, Ozzy replied: "I don't wanna say when [it will be out]. I can't be working the SABBATH thing and my own thing at the same time. I tried that with the Ozzfest; it didn't work." Ozzy told Metro back in August that he was "playing around with some song ideas" for his next solo album. He added: "Once BLACK SABBATH is off the road, I will be heading into the studio with my band to get the songs recorded. Once it's all in the can, you can be sure to see me back on the road again." Ozzy's wife and manager Sharon Osbourne recently told Rolling Stone that the 67-year-old singer will carry on as a solo artist after BLACK SABBATH's farewell tour comes to an end. "We'll continue until Ozzy finishes, and Ozzy won't be long behind them when he calls it a day," she said. Ozzy has not released an all-new solo album since "Scream", having spent the last few years touring with BLACK SABBATH and recording that band's "13" album. Epic Records president Sylvia Rhone told Billboard in August 2015 that Osbourne was working on a "really special album." She added, "It's going to be amazing. 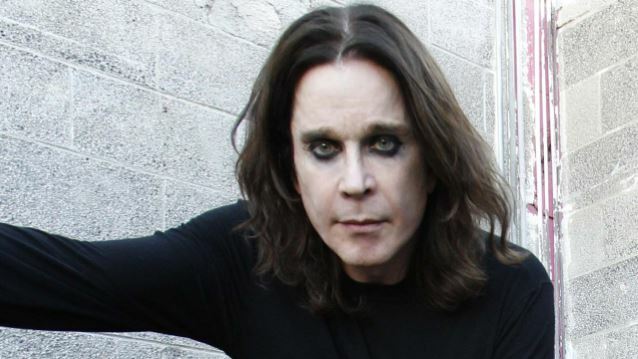 It's something Ozzy has never done before that he's always wanted to do."